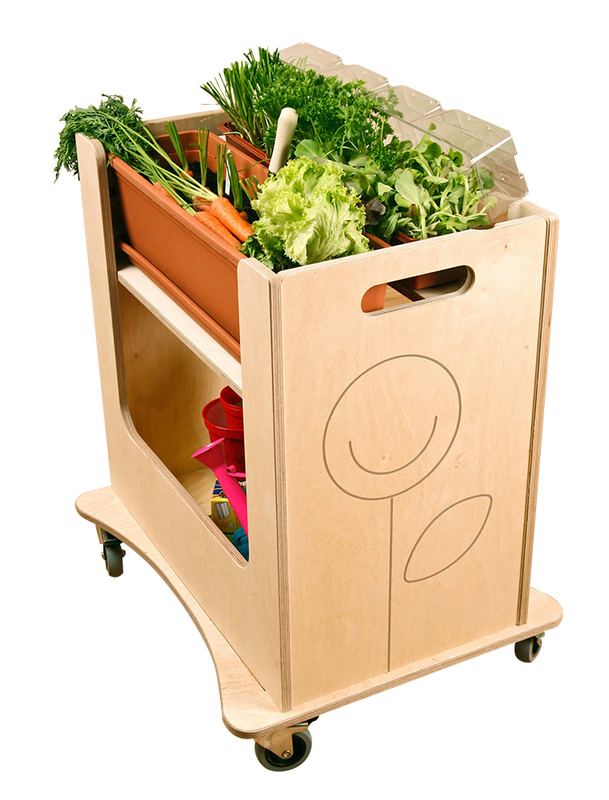 The indoor or outdoor mini garden encourages children to grow their own flowers, herbs and vegetables in an early learning environment. Ideal for use in conjunction with the outdoor planter - once seeds have sprouted they should be transferred to the planter for continued growth. The mini garden is supplied with a waterproof tray, jiffy pot strips and propagator lid, deep plant pot and drip tray. 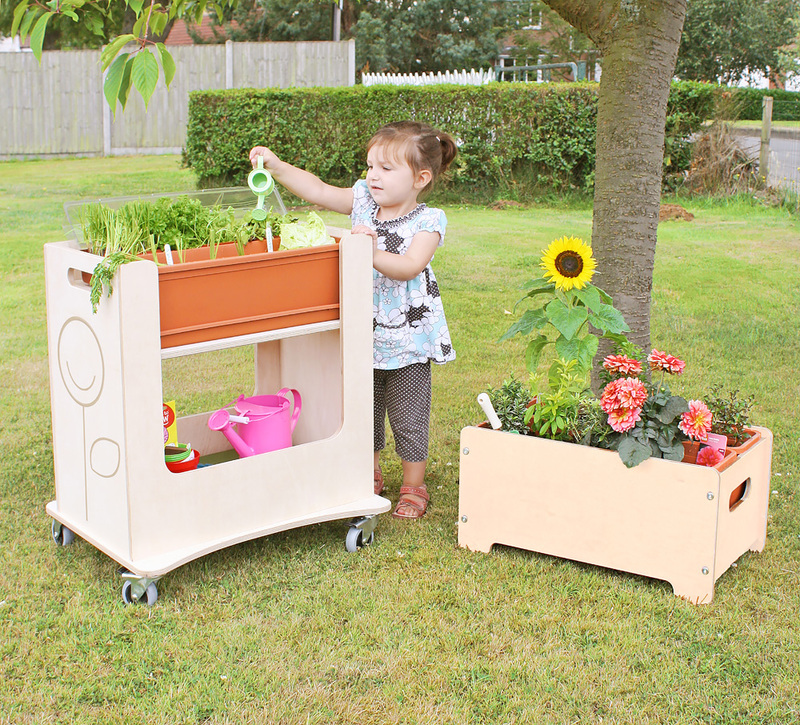 Manufactured sustainably in the UK using durable birch plywood with a clear lacquer finish that helps the mini garden maintain its natural wood appearance. Suitable for use both outdoors and indoors (but not to be left outside) and mounted on heavy duty castors which allow for convenient transport and storage when not in use. 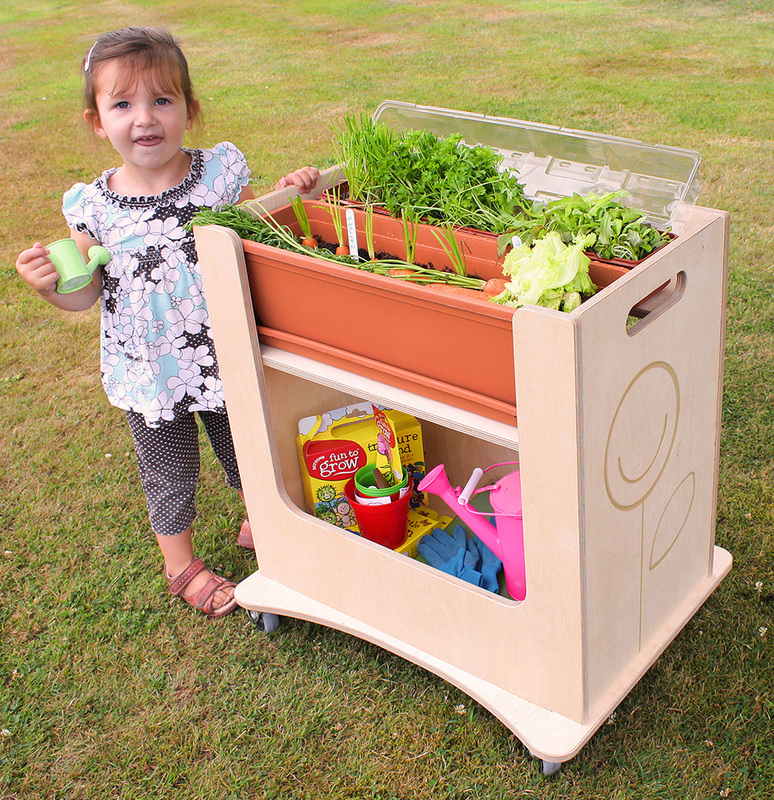 Beneath the mini garden is spacious storage for gardening supplies and equipment. Ideal school playground equipment as it is designed with easy access in mind for children. “Schools which integrate gardens into the curriculum are developing children who are much more responsive to the challenges of adult life” - Dr Simon Thornton Wood, Royal Horticultural Society. Please note: the gardening equipment and supplies featured in the product images are not included with the indoor outdoor mini garden. Please Contact Us or alternatively call for more details on 01733 511121. View our full range of Outdoor Play equipment.